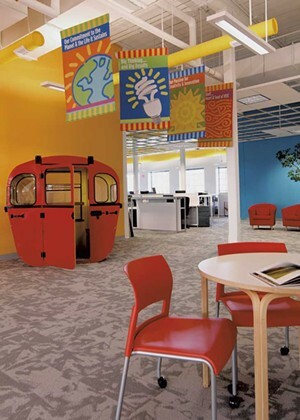 Last year, when Ben & Jerry's executives decided to revamp the look and feel of their employee workspaces and public areas, they sought an aesthetic update that didn't cast aside the whimsical playfulness of one of Vermont's most iconic brands. So they turned to Burlington interior designer Christine Burdick. 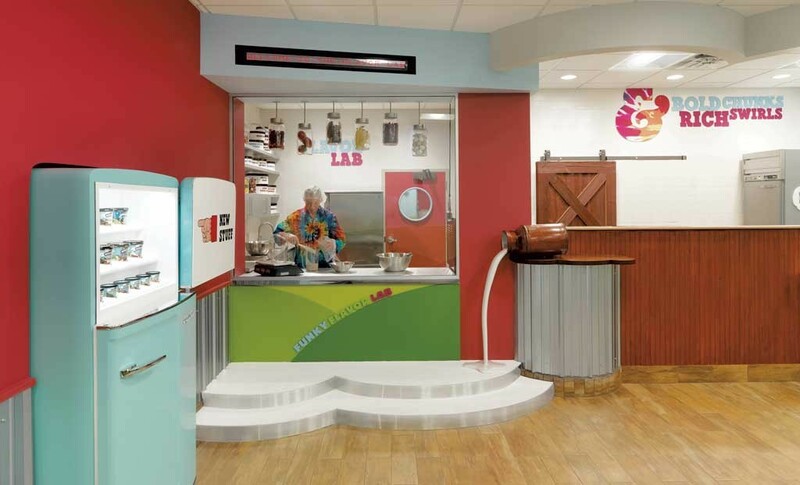 Burdick rose to the ice cream maker's challenge of retaining Ben & Jerry's hip, youthful and brightly colored aesthetic — without inundating office walls with peace signs and Holsteins. She did retain the children's slide in the lobby of Ben & Jerry's South Burlington corporate headquarters. And, rather than installing traditional employee mail slots, Burdick brought in actual rural mailboxes and painted them bright colors. "When you see them," she says, "it reads Ben & Jerry's." Ellen Kresky, Ben & Jerry's creative director, says Burdick totally nailed it. "Christine gets our brand and she gets us," Kresky says. 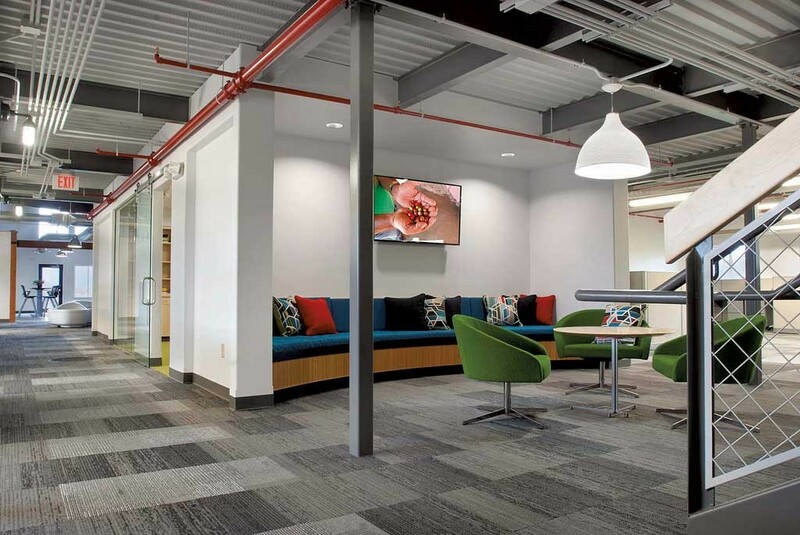 Ultimately, the company's St. Albans facility "went from looking like my uncle's basement in Parsippany, New Jersey, to looking like what it should be — a Ben & Jerry's place of work, where people feel warm and welcome." Burdick says she wouldn't attempt those same rural mailboxes in the National Life building in Montpelier — a workspace she helped redesign several years ago — despite the insurance company's deep Vermont roots. "We really like to understand our clients — what their goals are, what their principles are, who their employees are and how they attract and retain employees," Burdick explains. "It's easy to set up an office these days. But to be able to attract and retain really good talent in Vermont can be tricky. And their space has to reflect that." 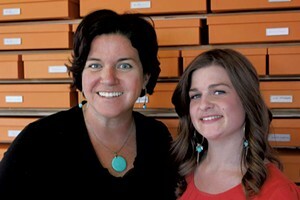 Christine Burdick Design is a two-woman operation run out of a one-room, exposed-brick studio in downtown Burlington. Despite the firm's modest size, its client list reads like a who's who of Vermont companies and organizations: Dealer.com, Keurig Green Mountain, Bruegger's Bagels, Merchants Bank and Vermont Energy Investment Corporation, to name a few. Currently, Burdick is under contract with Champlain College to design the interior of its new Center for Communication and Creative Media. Burdick also helps much smaller outfits on modest budgets re-envision their looks. 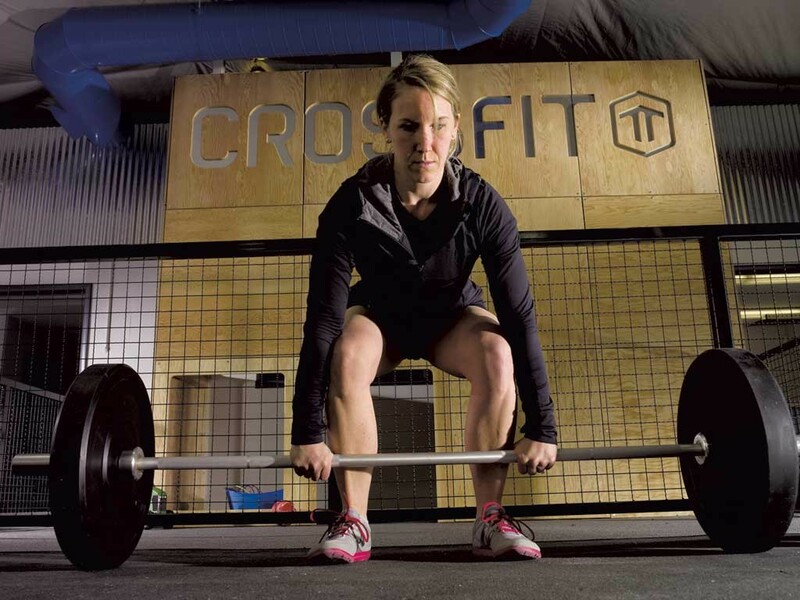 Tyler Barnes, owner of Crossfit Threshold Training, says he hired Burdick recently to redesign his business' 4,000-square-foot office and fitness studio in South Burlington. Barnes says he met with many other designers before choosing Burdick. Some had strong design concepts but weren't very flexible with their vision, he recalls. Others were all about practicality but lacked any vision. Burdick, he says, offered "the perfect mix" of both worlds. "Tying it all together and having one unifying design language was really important to us and was really hard," Barnes adds. "That's why we went to Christine." Burdick, a 35-year-old Colchester native, studied interior design at Virginia Polytechnic Institute and worked with several big-city design firms before returning to Vermont in 2000. She spent six years employed at local architectural firms until the construction market tanked and interior design work dried up. After applying for jobs with virtually every architectural and design firm in the state and getting nary a nibble, Burdick recalls, "a light bulb went off in my head." As she explains, she noticed a "missing link" in Vermont's design community: Small architectural firms didn't have enough work to justify keeping a full-time interior designer on staff. Yet they all had trouble finding interior designers who specialized in commercial and institutional design. Burdick stepped in to fill that niche. In 2010, she launched her own company in her basement, then spent six months working out of an old Colchester schoolhouse before relocating to her current quarters on Burlington's Main Street. Since then, the firm has grown to employ as many as five, though it is now just Burdick and fellow designer Kaitlin Mangan, 28. 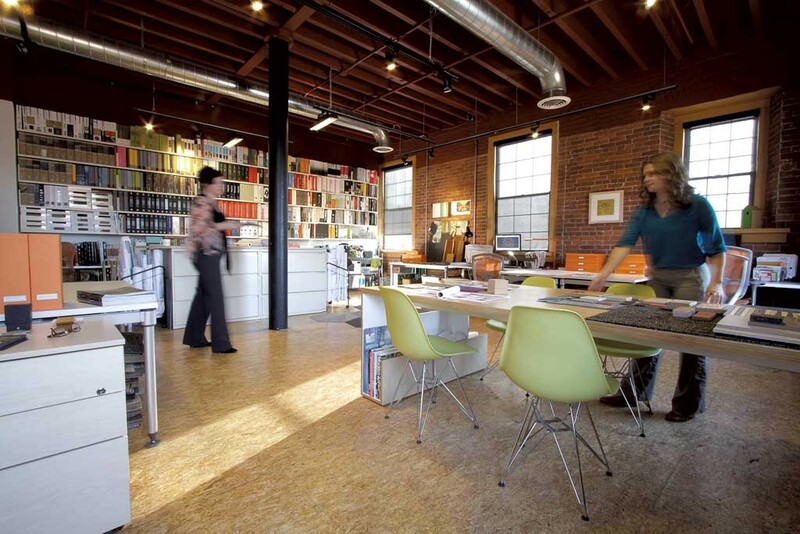 Burdick also specializes in LEED — or Leadership in Energy and Environmental Design — interiors for green buildings. What's the biggest change she's seen since becoming an interior designer 15 years ago? "The office is changing. 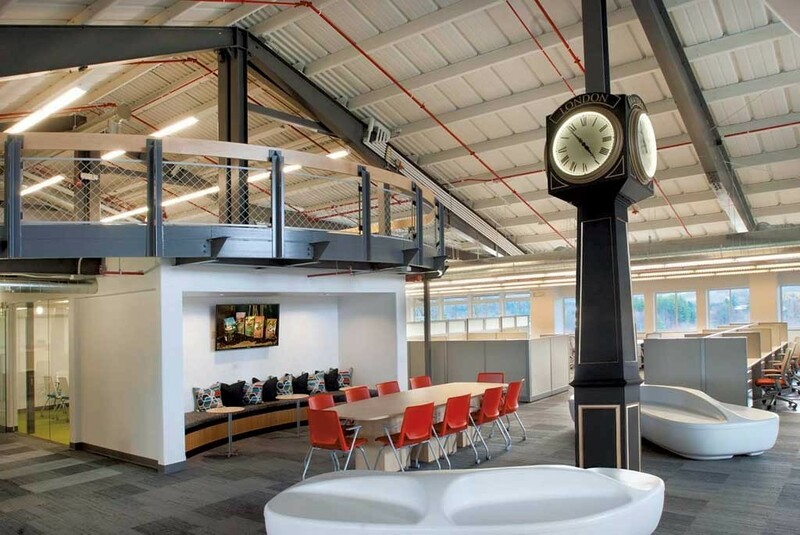 The idea of four walls, a door and a private office is a thing of the past," Burdick says. "Now, we're designing places where people can park and call their own, but also have a lot of shared spaces." Open floor plans present unique challenges, she notes, such as loud acoustics and the need for "breakout spaces," where employees can meet in small groups without disturbing others. Open offices also need isolated workstations where employees and "nomads" — or part-time, temporary and contracted staff — can concentrate undisturbed. To that end, Burdick often recommends installing so-called "phone booth" workspaces where employees can make sensitive or confidential calls. Unlike most designers, who mount their design swatches on boards, Burdick keeps hers in flat orange boxes for easier storage; her Burlington studio is filled with them. And, as she quickly discovered, showing up with one of those boxes makes her instantly popular on many projects. "You show up at a construction site," she explains, "and everyone thinks they're doughnuts."